Grab your agenda and check the balance of your bank account because it’s about time again to look at which hot tech events you should be purchasing tickets for this year. 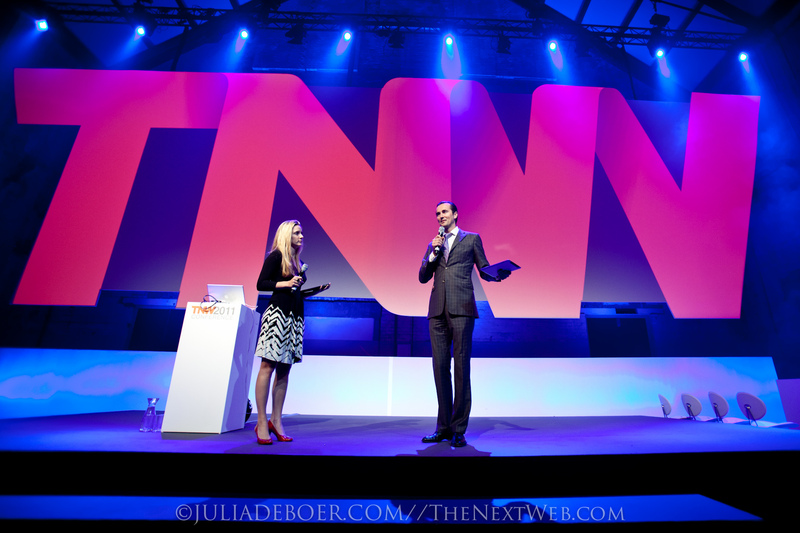 Here at the TNW offices, we are insanely excited that in less than 46 days we’ll be kicking off with TNW2012 in Amsterdam. Check out our 20+ confirmed keynote speakers for a glimpse of the awesomeness we have in store. Don’t forget that if you haven’t yet bought tickets you can still get one of the last early bird tickets now and pay by invoice later. The Amsterdam Fellows are a group of creative entrepreneurs from Holland. The Amsterdam Fellows organizes invitation only get-togethers, as well as open events in various, flexible locations. Think of a ‘Pop Up’ society that brings people together from the technology and digital media industry and combines business with pleasure. The Amsterdam Fellows will host its first festival during SXSW 2012 in Austin, Texas. Make sure to say hi from TNW when visiting these crazy Dutch guys! The 19th annual SXSW Interactive festival will take place March 9-13, 2012 in Austin, Texas. An incubator of cutting-edge technologies, the event features five days of compelling presentations from the brightest minds in emerging technology, scores of exciting networking events hosted by industry leaders and an unbeatable line up of special programs showcasing the best new websites,video games and startup ideas the community has to offer. You will be able to meet our TNW Editors here! Cloud computing undeniably introduces management challenges to an organization. Rather than problems however, management should see them as opportunities. As such, it is better for organizations to identify and deal with the issues early, so that they can gain maximum benefit from the changing technology panorama. Therefore, management dealing with this paradigm shift in gaining better skills and understanding is a necessity to create a smoother and positive transition. The Corporate Social Commerce Summit is the leading conference for utilizing social media to acquire new customers, cultivate brand loyalty, and boost sales. The conference features 20+ corporate speakers from companies like eBay, Neiman Marcus, Staples, Cars.com, Kodak and many more. If you’re looking to leverage social media to facilitate purchases, and drive conversations then this is a must-attend event. For the second time around the Entrepreneurs Club Berlin e.V. is organizing the Startup Camp Berlin in partnership with media.net berlinbrandenburg. The event will take place on March 16–17, 2012 at the Mediadesign Hochschule, in Berlin, Kreuzberg. Their bitcrowd CampChamp awards give the chance to get a prototype developed along with other cool add-ons (worth €40.000). Amen, Gidsy, Upcload, Research Gate, EyeEm, DriveNow along with well known VCs such as Neuhaus Partners, Linden Ventures, K-New Media, Doughty Hanson Technology Ventures will all be present. Will you? IGNITION West intensively explores the intersection of technology and content. Companies like Facebook, Zynga, Pandora, Google and Twitter are both technology and content companies: powered by computing, they empower users to enjoy, curate and create content. IGNITION West dives deep into this convergence. Through high-level discussions and demos from startups, IGNITION West will bring together who is defining innovation to discuss what’s happening now, what’s coming next, and how it will affect you. TNW readers can benefit from a 30% discount on standard or early bird tickets by using discount code ‘TNW’ here. The second MUSIC techpitch 4.5 event, an evening pitch event showcasing the latest music-tech startups, in partnership with EMI Music will be held in London on 27 March 2012. Eight music-tech startups will present their business ideas and revenue models during a three minute pitch followed by a Q&A by a panel of judges. TNW readers can get a 20% discount on available tickets with discount code TNW20. The first 50 readers to take advantage of the TNW12 discount code receive €100 off early-bird registration (valid until February 29, 2012).